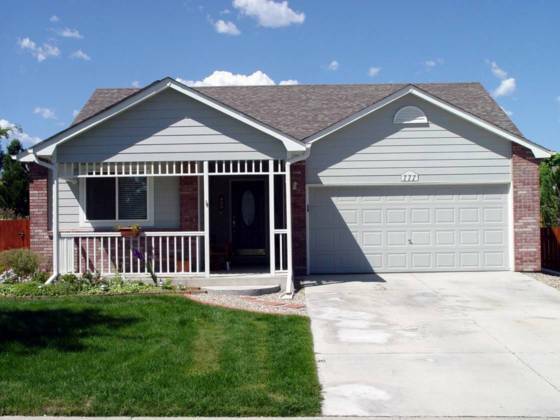 FANTASTIC CURB APPEAL and inviting front porch makes this move-in condition ranch an exceptional home. Soaring cathedral ceilings in living room, dining room and kitchen. Wood-like flooring in hallway, dining room, kitchen and living room. Secluded master suite with private 3/4 bath & walk-in closet. Three bedrooms & two baths. Main floor utility room. 2-car garage, A/C, sprinkler system & 26 x 12 patio. Backs to walking path & greenbelt. Close to everything.